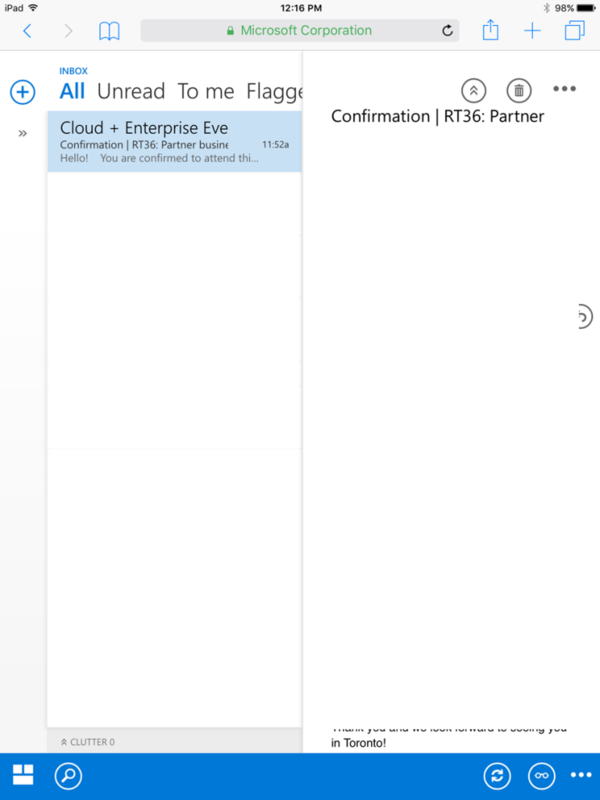 This has easily addressed one of the biggest customer concerns I’ve ran into, where ADFS can’t conditionally block service-level access to Office 365. I’ve been waiting for some time now, and finally, Intune will offer the ability to control Conditional Access to Exchange Online and SharePoint Online (and by proxy OneDrive for Business). 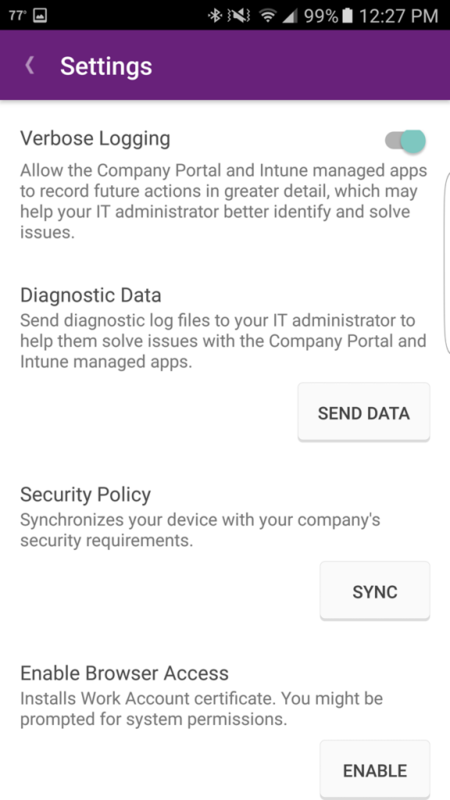 In this model, you can control access to these from only supported web browsers on managed and compliant devices (iOS & Android). 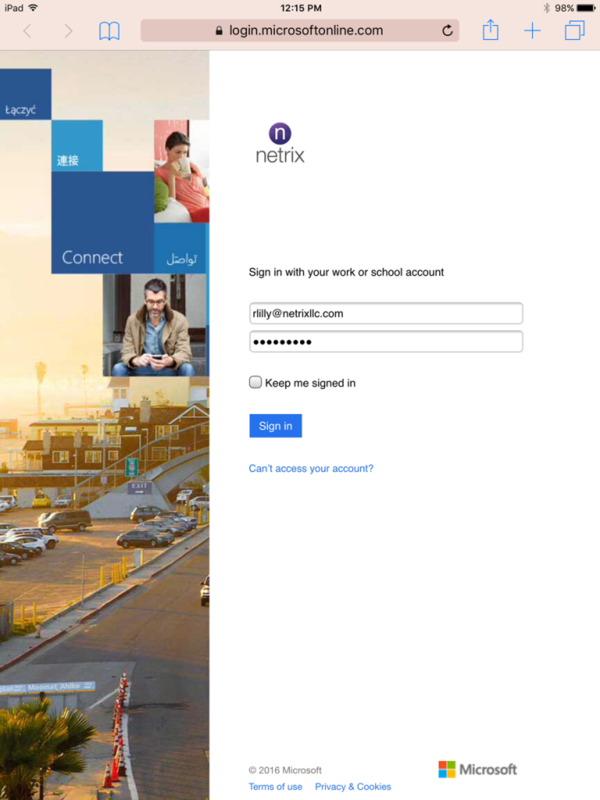 If they are not enrolled/compliant, just like traditional Conditional Access, they will be prompted to enroll their device before allowing sign-in. 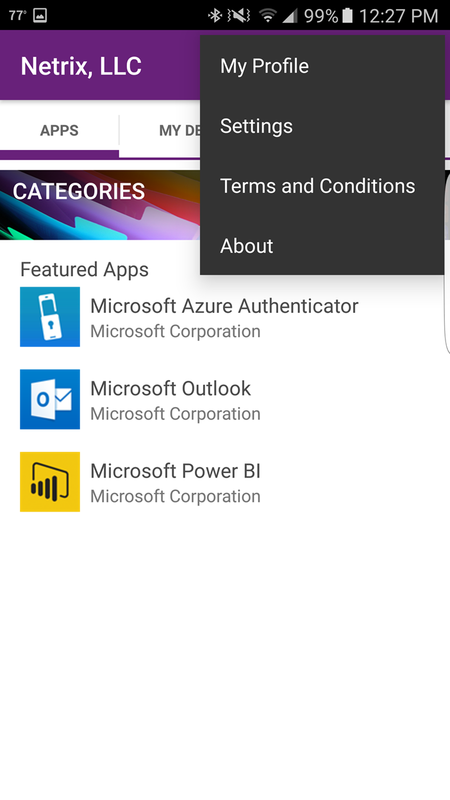 NOTE: The OWA apps for iOS and Android are not supported. 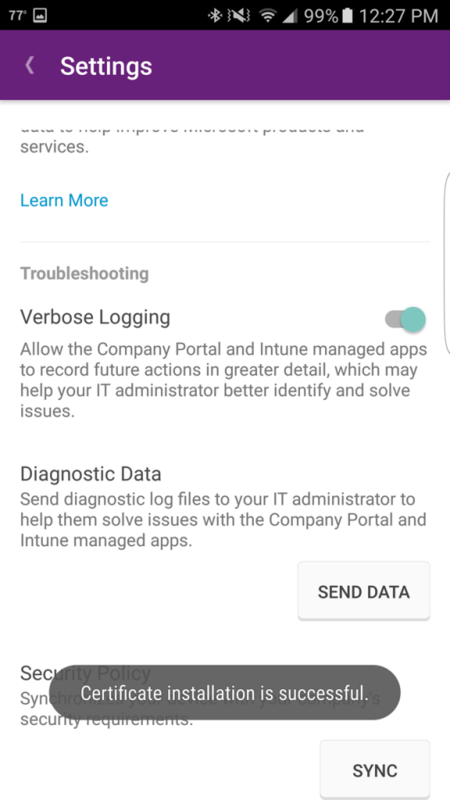 They should be blocked through ADFS claims rules. Let’s take a look at how it’s configured! 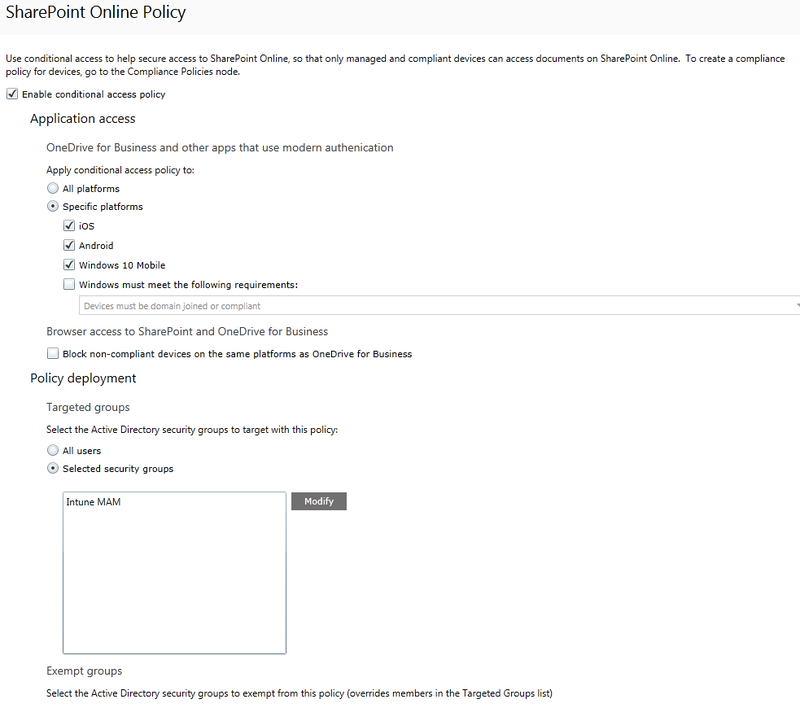 First, let’s take a look at the new policy settings in Intune under the Conditional Access policies for Exchange Online and SharePoint Online/OneDrive for Business. 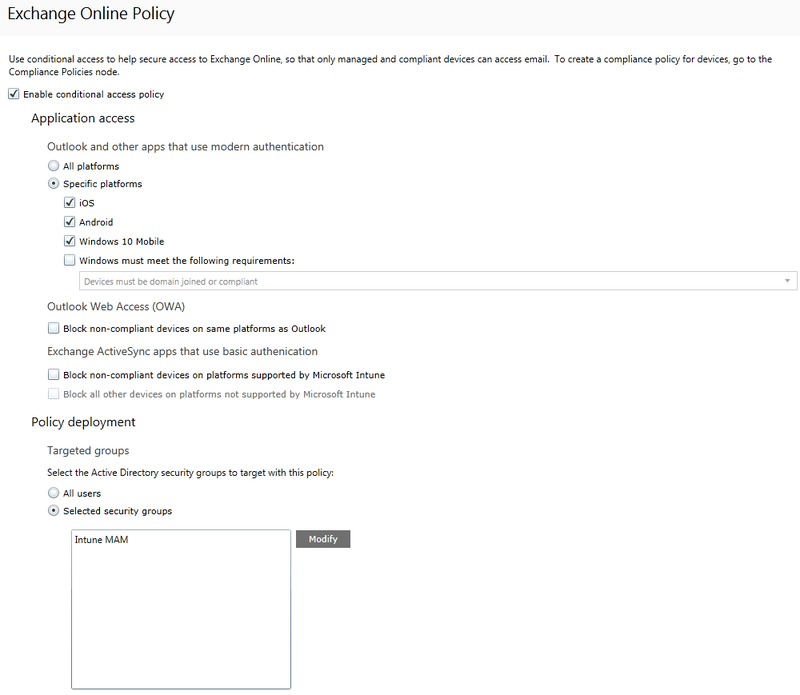 Note that once you check that box, it is enforced only for your targeted groups, just like other Conditional Access Policies. That means that if you don’t have a blanket policy covered for your entire organization, just selected groups, then folks not in that group would be exempt and wouldn’t be blocked. 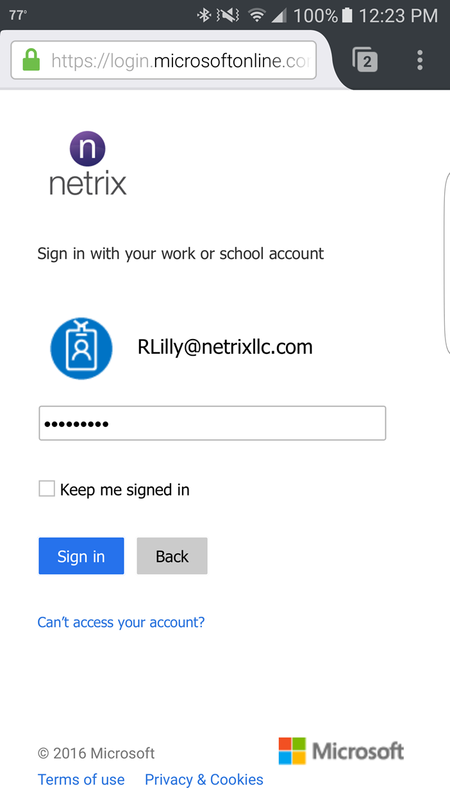 This is important if you’re in the process of moving to Intune with Conditional Access or testing. 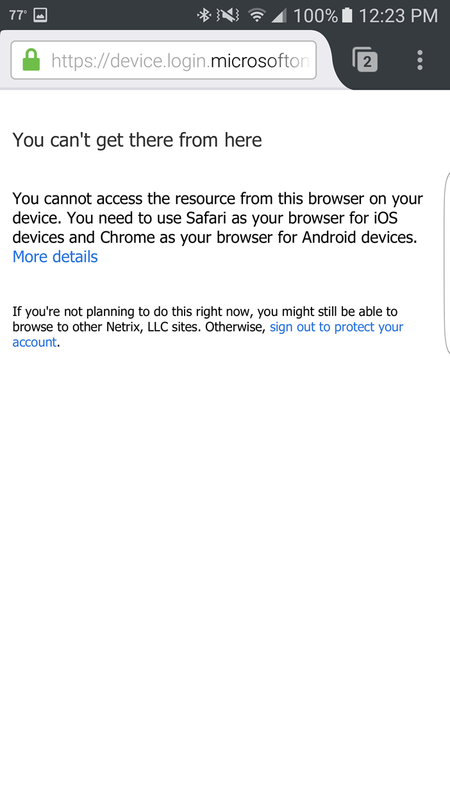 You should note that these settings applies today only to mobile devices (today).You can choose to allow access to Exchange Online, SPO or OneDrive for Business only through the supported browsers: Safari for iOS, and Chrome for Android. Access from other browsers will be blocked. The same platform restrictions you selected for Application access for Outlook also apply here. 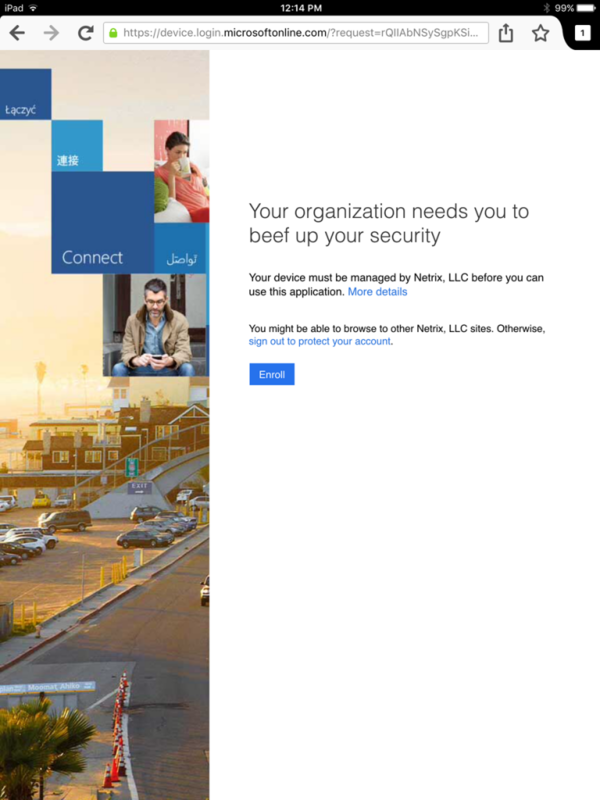 Meaning if you aren’t protecting Android devices with Conditional Access then the Browser settings will not be applicable. Let’s start by checking the respective boxes. 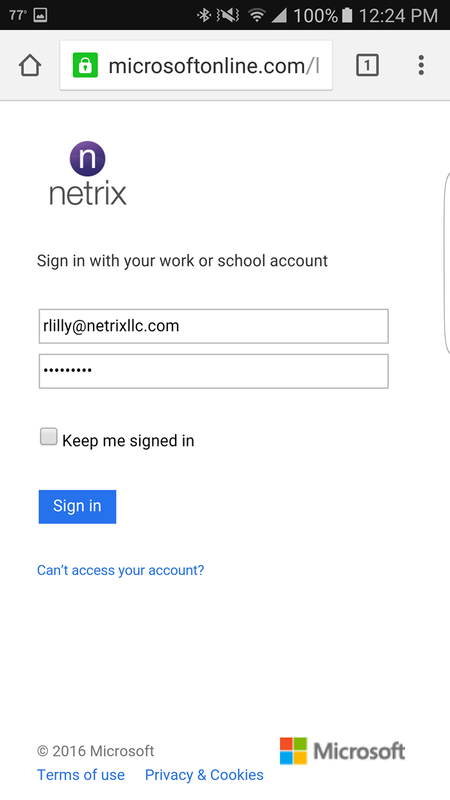 We can see that we get notified (because we’re using a non-native browser) that we are not enrolled/compliant. And we’re allowed right through once we chose that certificate. 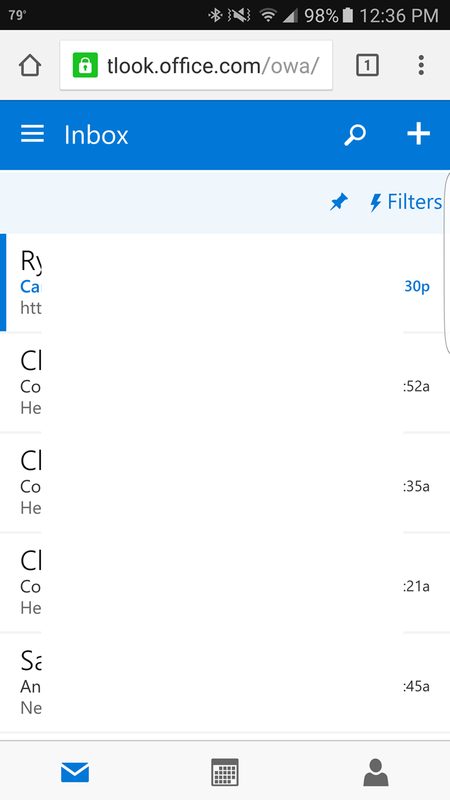 We’ll get a certificate notification. 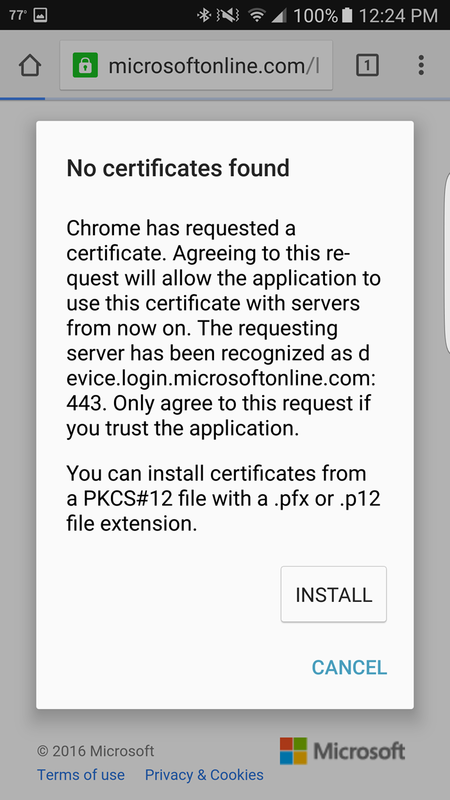 It’s likely you don’t currently have any certificates to use, so I hit cancel. 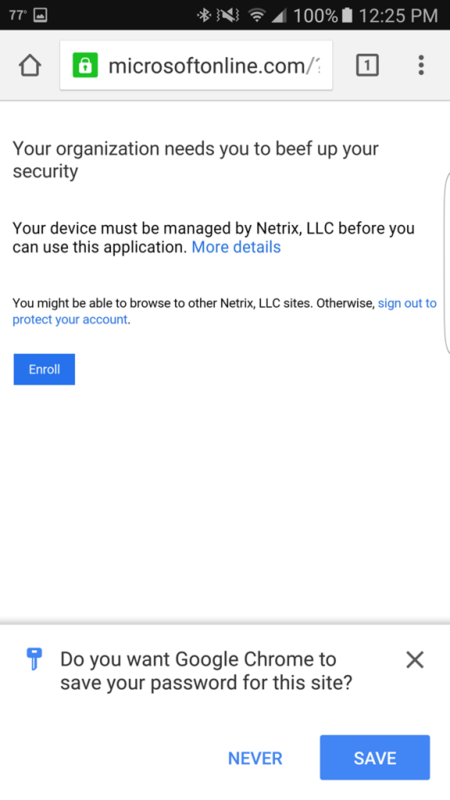 On Android devices, users must enable the browser access. 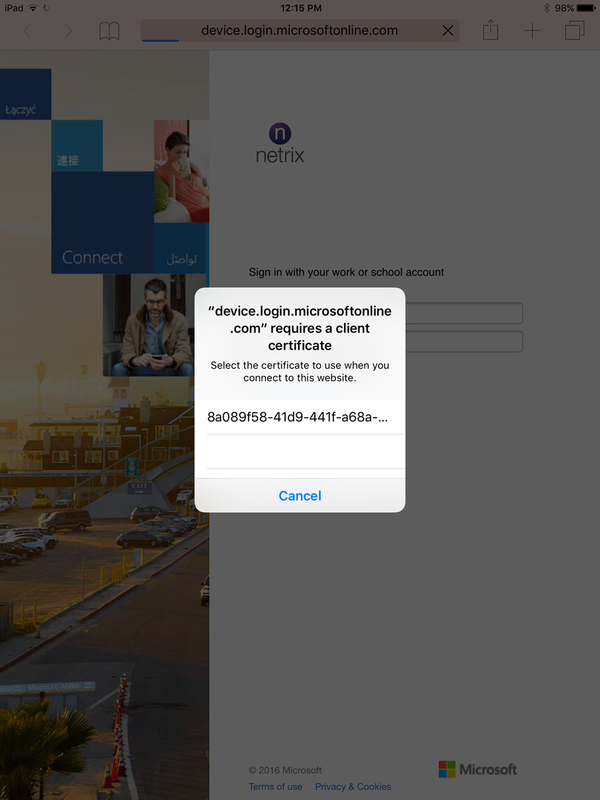 To do this the end-user must enable the “Enable Browser Access” option on the enrolled device. At the bottom, choose Enable Browser Access. You’ll see it import a certificate and you’ll get a notification. Now let’s try with Chrome again. You’ll see we have access!